When the series finale of David Attenborough’s Blue Planet II aired in December 2017, its vivid depiction of the impact that plastic is having on our marine wildlife struck a chord with the British public. Our planet is choking on waste plastics and opinion is firmly behind banning single-use plastic items and fining people who dispose of their waste plastic irresponsibly. Corporations are falling over backwards to announce their plastic-reducing green credentials – but are they doing it because they care, or because they sense that legislation is on the way? A branch of M&S in Kingston-upon-Thames is trialling a plastic-free fruit and vegetable aisle. Hard produce will be unprotected and softer produce that is typically packaged in Low Density Polyethylene will be for sale in compostable punnets. If the trial is a success, then M&S will roll out alternatives to plastic packaging in every UK store – saving 580 tonnes of plastic waste every year. Black plastic packaging such as the trays that hold fresh meat, fish, and vegetables is to be phased out by Waitrose by the end of the year. Due to its low reflectivity, black plastic is particularly hard for the automatic optical sorting systems at waste management sites to recognise. Because of this, recyclable black plastic can wind up in landfill. By switching to transparent plastic and cardboard trays, Waitrose aims to eliminate 1300 tonnes of black plastic from entering the waste disposal system and potentially being miscategorised. Environment Secretary Michael Gove is putting in place a strategy that will make the producers of packaging more responsible for the costs of its disposal. Currently, producers pay only about 10% of the costs of disposal. The strategy aims to increase this figure to 100% by 2023. It remains to be seen what particular set of incentives and punishments will be put in place to achieve these aims, but companies with foresight are making changes right now. WT Skips currently recycle over 90% of the waste that we collect – including plastic waste that we separate and send for processing into new plastics. Hiring a skip is a responsible way of disposing of waste. 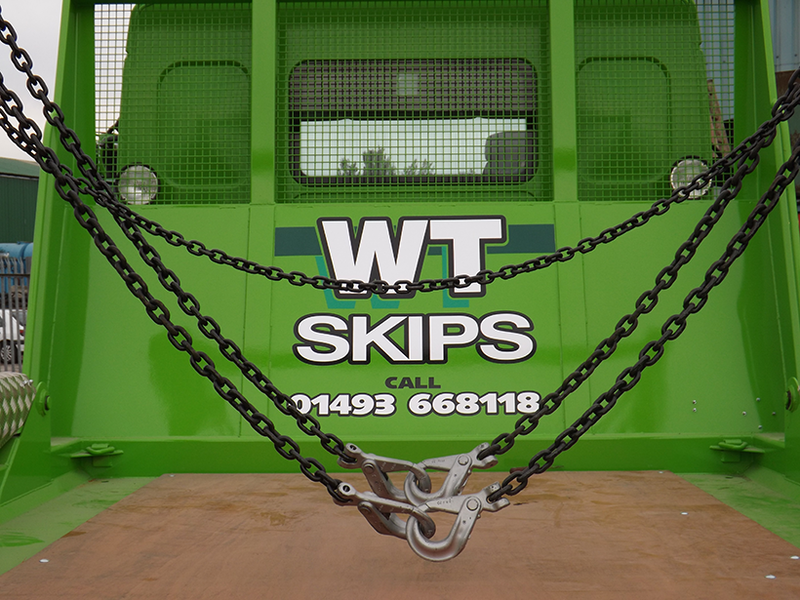 Call us on 01493 668118 or email us on info@wtskiphire.co.uk. Follow us on Twitter and Facebook for regular company and industry updates.